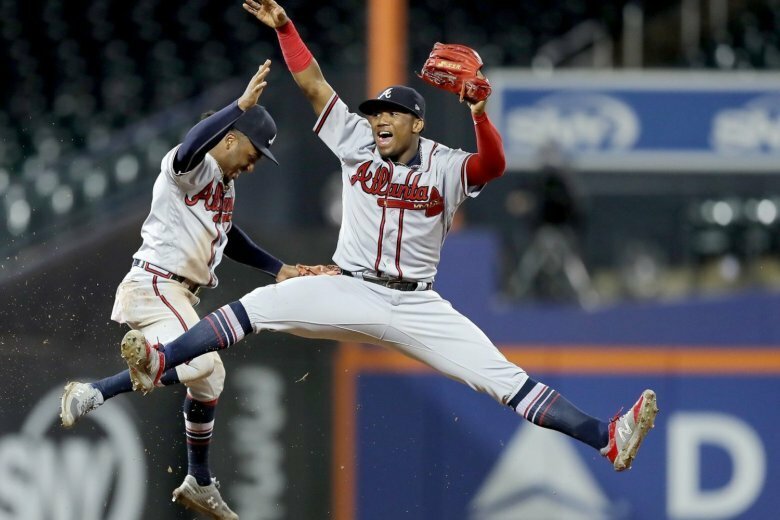 The Atlanta Braves may be the overlooked team in the National League field this year, but so were the Atlanta teams of the 90s before they became a powerhouse. 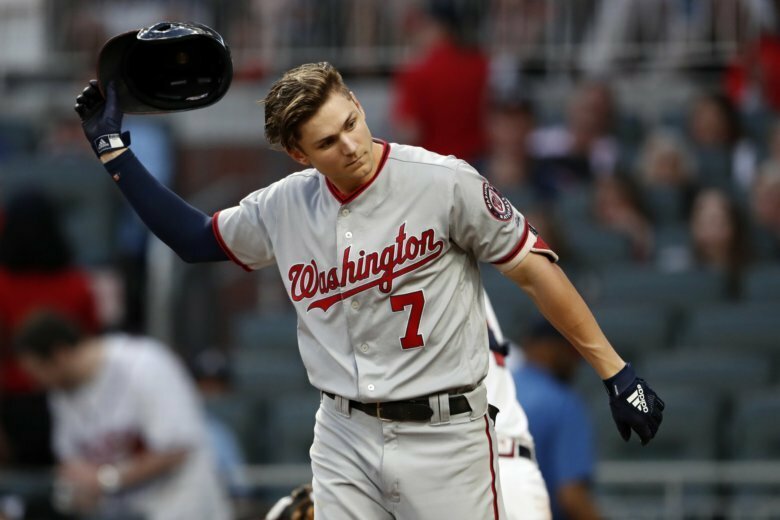 Bryce Harper and Anthony Rendon hit two-run homers, 19-year-old rookie Juan Soto added an RBI single in the ninth inning and the Washington Nationals beat the Atlanta Braves 6-4 on Sunday. 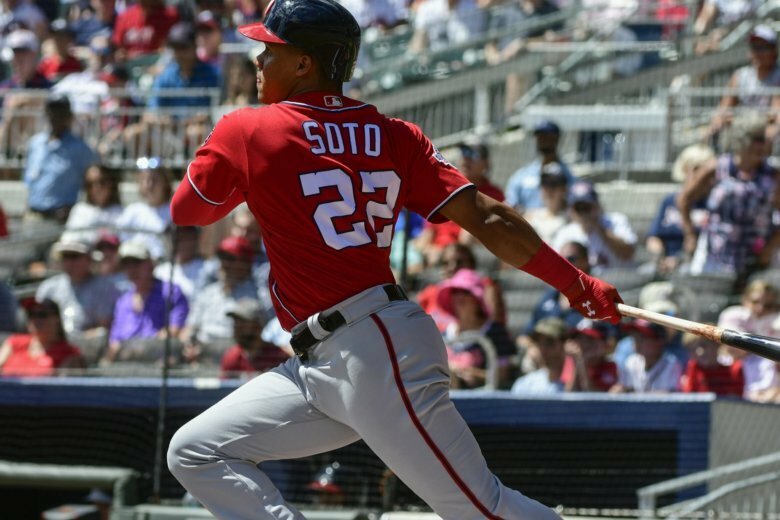 Washington 19-year-old rookie Juan Soto become the youngest player to steal three bases in a game, had an RBI single and scored the tiebreaking run, helping the Nationals stop the Atlanta Braves’ season-best, six-game winning streak with a 7-1 victory on Saturday. 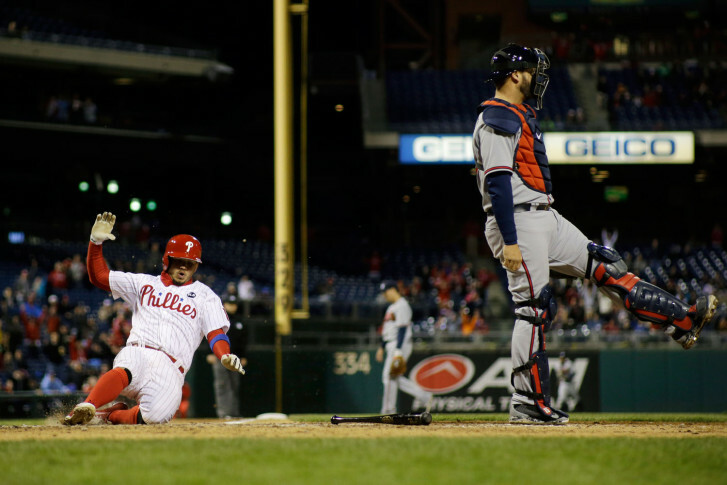 Robert Acuna Jr. went 4 for 5, had two RBIs and scored the tiebreaking run in the fourth inning to help the NL East-leading Atlanta Braves win their season-best sixth straight game with a 10-5 victory over the Washington Nationals on Friday night. 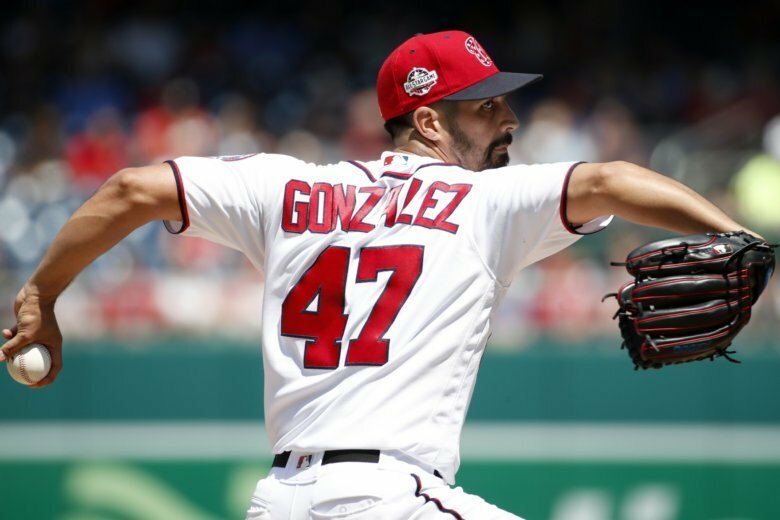 Gio Gonzalez pitched seven strong innings for his first victory since May 28, leading the Nationals to a 6-3 victory over the Atlanta Braves on Thursday. 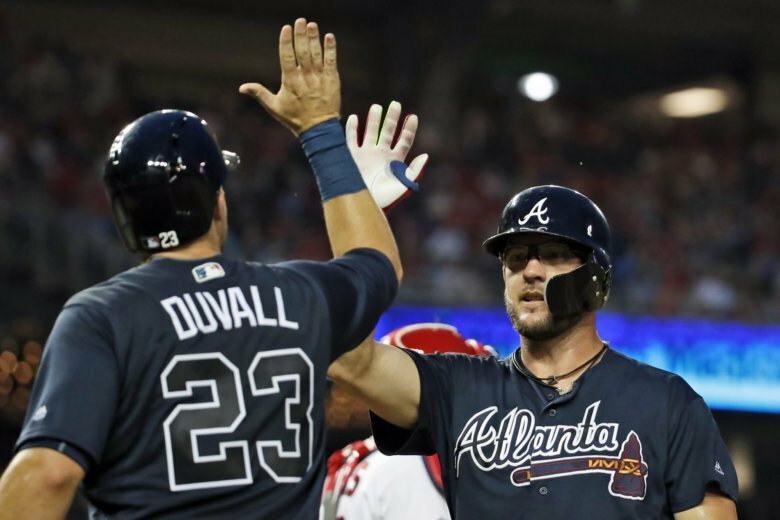 Charlie Culberson homered in a third straight game, Tyler Flowers and Ronald Acuna Jr. added two-run shots and the Atlanta Braves defeated the Washington Nationals 8-3 Wednesday night. 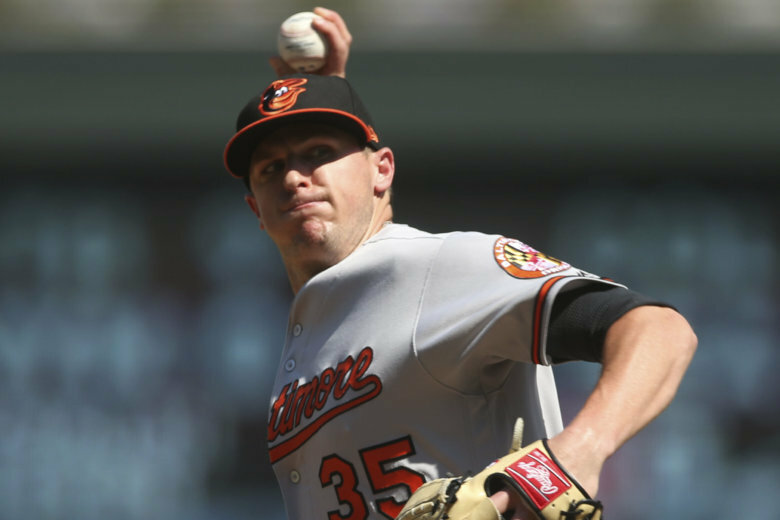 The Atlanta Braves bolstered their bullpen for a run at the NL East title, obtaining right-hander Brad Brach on Sunday in a trade with the Baltimore Orioles for international signing bonus slot money. 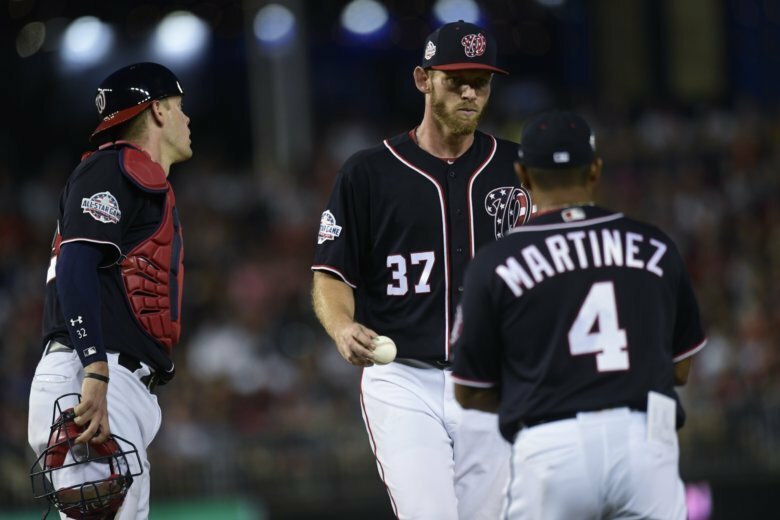 The game between the Atlanta Braves and Washington Nationals has been postponed because of the threat of all-day rain. 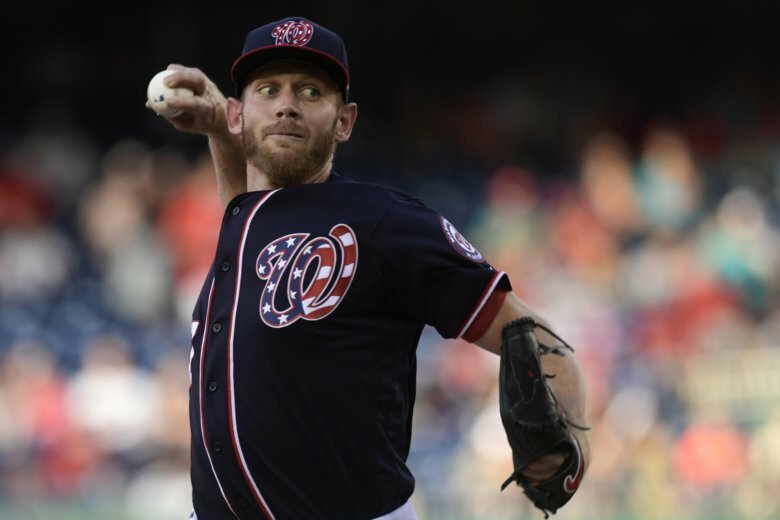 Stephen Strasburg was batted around by the Atlanta Braves, then engaged in a heated spat with Nationals ace Max Scherzer in the dugout during Washington’s 8-5 loss Friday night. 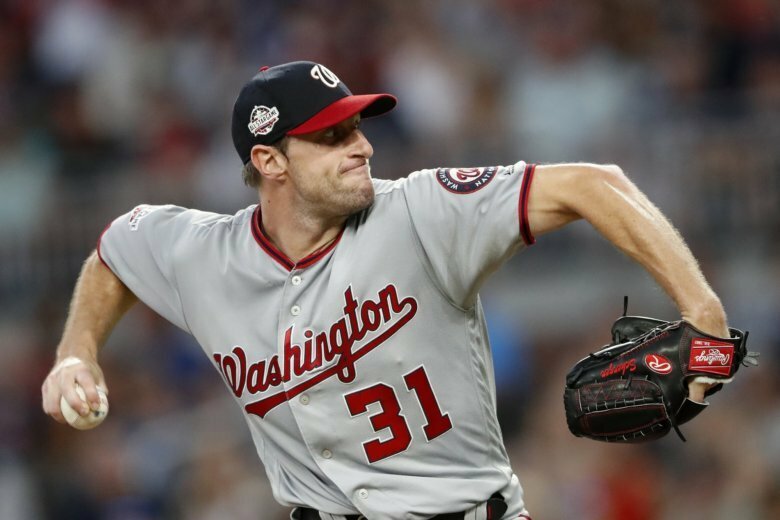 Max Scherzer singled as a pinch hitter in the 14th inning and scored the tiebreaking run on Wilmer Difo’s triple, sparking the Washington Nationals to a 5-3 victory over the Atlanta Braves on Saturday. 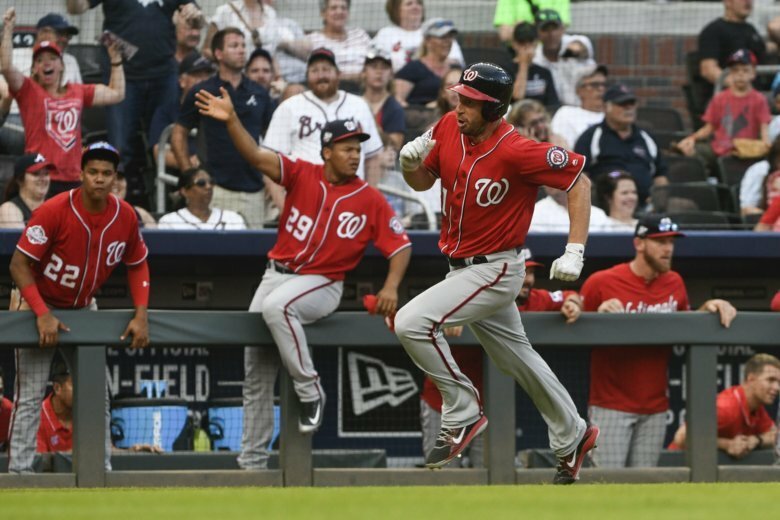 Dansby Swanson broke the game open with a three-run homer in the seventh and the Atlanta Braves beat the Washington Nationals 4-0 on Friday night. 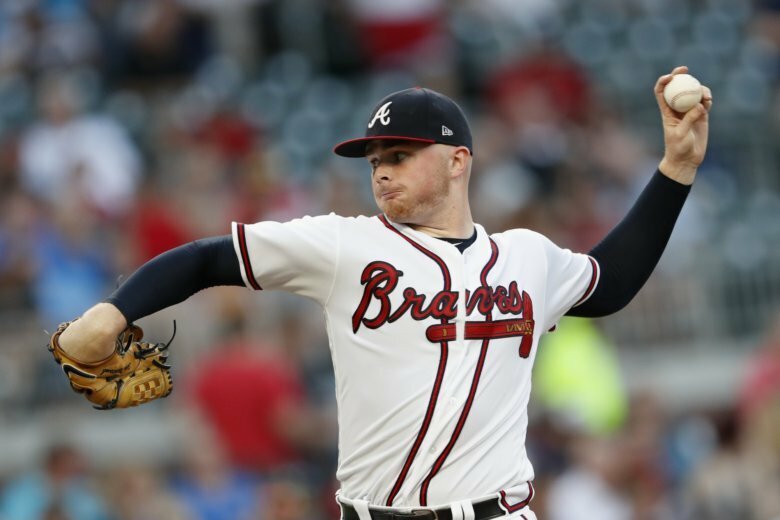 Sean Newcomb pitched seven strong innings for his sixth straight win, leading the Atlanta Braves back into first place with a 4-2 victory over the Washington Nationals on Thursday night. 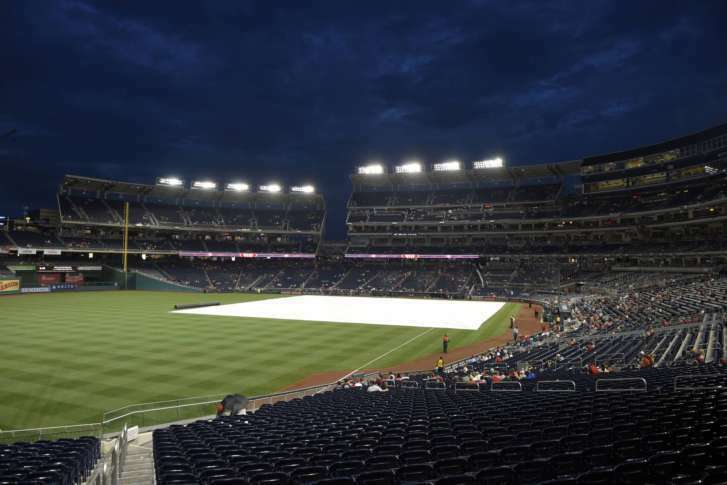 The old adage of “a watched pot never boils” certainly applied to the Washington Nationals and their fans during a three-hour delay prompted by the threat of heavy rain that eventually amounted to a drizzle. 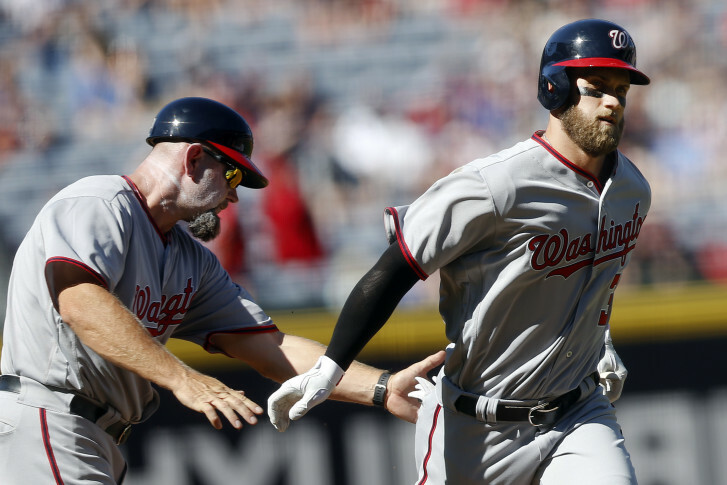 Daniel Murphy capped off an impressive Nationals debut with the game-winning RBI double as the Nats beat the Braves 4-3 in 10 innings. 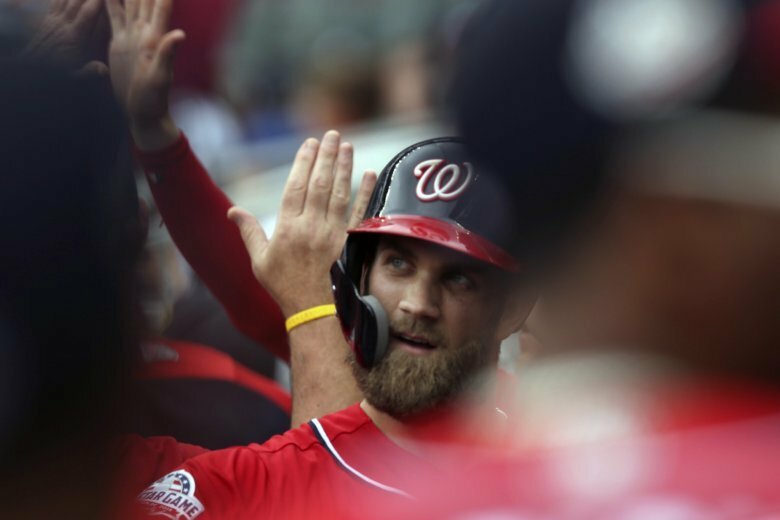 How historically bad is the NL East?